"Don't worry my brown-faced friends, I am one of you and I won't let you down." In an interview with the Denver Post on Monday, Mitt Romney had made an announcement that was supposed to ease the tensions among young immigrants who were granted a special visa under a special Obama administration program. 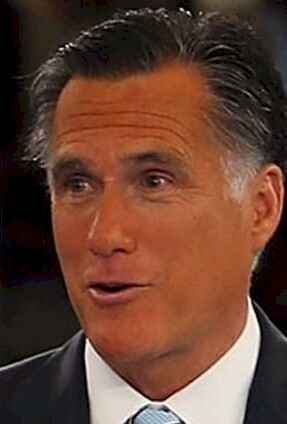 Romney insisted that he wouldn't deport those individuals with such a visa. "The people who have received the special visa that the president has put in place, which is a two-year visa, should expect that the visa would continue to be valid. I'm not going to take something that they've purchased," Romney said. "Before those visas have expired we will have the full immigration reform plan that I've proposed." "I actually will propose a piece of legislation which will reform our immigration system to improve legal immigration so people don't have to hire lawyers to figure out how to get here legally," Romney continued. "The president promised in his first year, his highest priority, that he would reform immigration and he didn't. And I will." Obama's order imitates the "DREAM" Act, which has been unable to get passed in Congress every time it has come up for a vote, partly because it was blocked by Senate Republicans two years ago. Why are Mitt Romney's statements meaningless? Because Romney did not say he would not deport these individuals. Romney just won't deport them until their visa expires in 2014, that is unless the Republicans in congress change their minds about immigration reform and choose to allow these people to remain in the country, but considering the rhetoric from the right it is highly doubtable that Republicans under a Romney administration would be interested in such reforms. Romney also suggests that when he arrives in congress he will be able to write laws and get them passed in record time. In some ways Romney's comments are similar to those of candidate Obama from 2008. While Romney may be able to rubber stamp some Republican policies should Republicans should the GOP regain control of the Senate and maintain control of the House, but should Democrats keep the Senate it is not foreseeable that Democrats would just roll over for Romney. Essentially, Romney's comments were made because he is hemorrhaging likely voters left and right and needs to do something to close the gap between himself and the president and one demographic where he is lagging are the Hispanics. Will they see right through his comments?